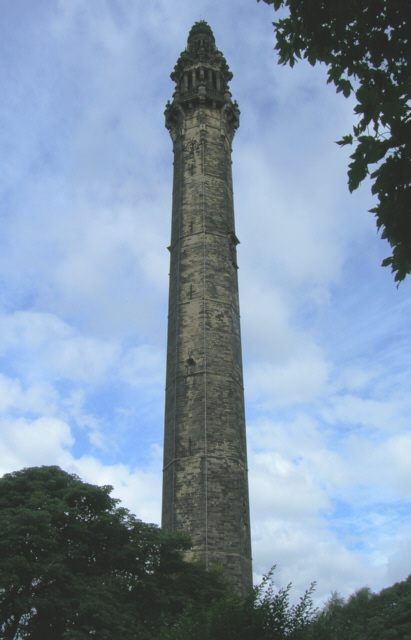 The 253 ft tower was originally commissioned as a chimney for the local dye works by John Edward Wainhouse in the late 19th century. Work commenced in 1871, with plans developed by Isaac Booth. Following a dispute with Wainhouse, Isaac Booth left the project and Richard Dugdale was appointed to take his place. Dugdale was responsible for the upper section of the tower with its balcony and elaborate lantern dome. It was completed on 9th September 1875. The structure was never actually used as a working chimney and as such, has been regarded by many as one of Britain’s finest follies.